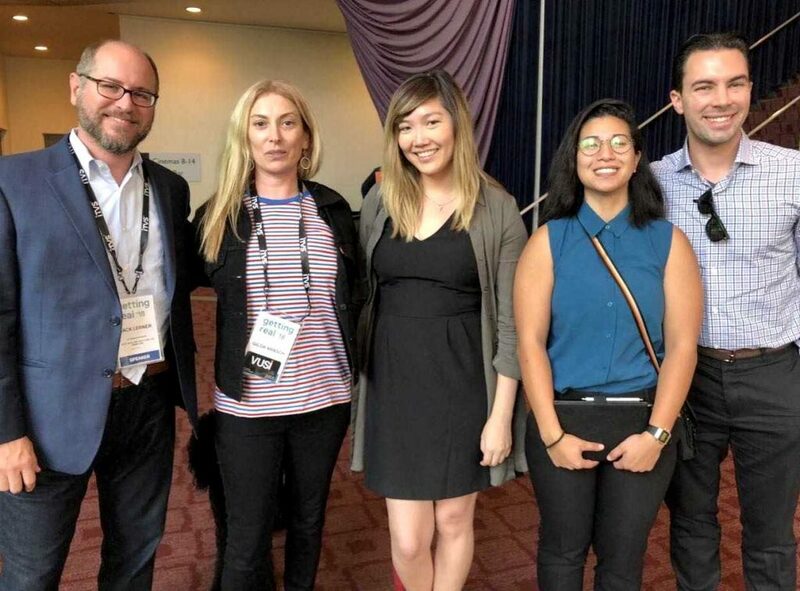 Photo: Professor Jack Lerner, Director Gilda Brasch, and IPAT Certified Law Students Ashley Yee, Michelle Chea, and Reece Foster at Getting Real 2018 in Los Angeles. Many congratulations to director Gilda Brasch, an IPAT client, on the news that her film Let My People Vote has won Best Documentary Short at the DTLA Film Festival! In advance of the November 2018 elections, the film has screened at multiple film festivals and community locations, where Gilda Brasch has offered thoughts on the film and on the import of its message: to restore voting rights for disenfranchised voters. The vérité short follows a day in the life of voting rights advocate Desmond Meade and his work to restore voting rights for ex-felons in Florida who have completed serving their sentences. Sponsored by the International Documentary Association with music donated by Moby to the film soundtrack, Let My People Vote demonstrates the heartbreaking persistence of harsh voting policies and ends with a powerful message in favor of voting rights for all Floridians. The UCI Intellectual Property, Arts, and Technology Clinic is proud to have advised director Gilda Brasch in past months on the fair use of materials in Let My People Vote, allowing Brasch to screen the film with support and to exercise her fair use rights safely and responsibly. In light of the IPAT Clinic’s mission support civil liberties and innovation in the digital age, it has been our pleasure to work on a film that promotes civic engagement on behalf of the public interest. In the past months, Let My People Vote has screened at multiple locations across America, including a national broadcast and Washington, D.C. screenings as part of the Meet the Press Film Festival. Upcoming screening dates include at the Hot Springs Documentary Film Festival on October 25, 2018. Watch the trailer for Let My People Vote on the film website, and support it on its crowdfunding page. Those who cannot attend upcoming screenings before the upcoming state primary elections can view the full film online.